Joe Harris’s been in love with his neighbor Isabel Devlaux since the time she moved into his neighborhood, not know her true identity. Clawing back from the doors of death, he can easily recognize that Isabel is fragile and has been injured badly. He silently helps her fix things, keeps his distance, yet guards her like a hawk and is ultra protective of her, and will do anything to keep her safe from the danger that seems to surround her. Isabel Devlaux may have survived the Washington Massacre, but her entire political family had been wiped out as part of a terrorist attack, at the event of her father’s presidential announcement. Coming back from the jaws of death, she has nothing to live for and takes one step at a time to breathe. Her only saving grace is Joe Harris and she enjoys cooking for him in lieu of him helping her out. With danger threatening Isabel as her memories surface of the massacre, Joe brings his entire team to protect her. As they explore their feelings for each other, the betrayal coming close from home has Isabel in a death grip and the entire team rallies around to bring justice to the families that have lost their loved ones in the massacre. You can’t help but fall in love with Joe and Isabel. Isabel flourishes under Joe’s care, and she gets back her confidence and courage to bring down the ones responsible for her family’s death. Filled with emotions and love, friendships and family, hope and encouragement, “Midnight Secrets will keep you entertained and pleased. 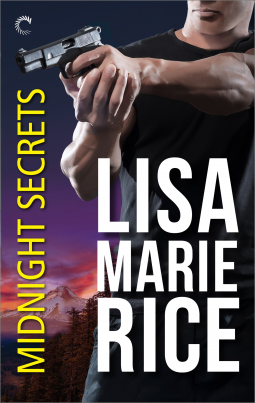 As always Lisa Marie Rice does what she’s best at – writing amazing stories of love and courage. creating fictional characters who charm the pants off readers, and bring those characters into every book for a visit. A short and intense read, “Midnight Secrets” is a definite pleaser! Received an ARC from Carina Press via NetGalley for an honest review. « One Night With The Cowboy – Rocks!!! !